Every state that has continuing education requirements,even those that do not have an initial licensing exam,for adjusters place the emphasis of continuing education on ethics. In most states, adjusters are required to complete three hours of ethics training annually or six hours biannually. 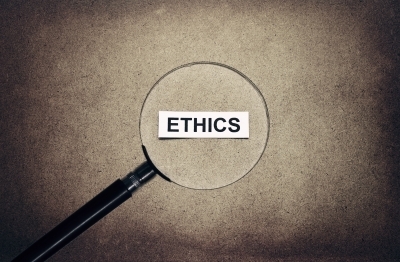 Why is ethics education such a big deal? The answer is simple: Honest and ethical dealings with our clients and policyholders are the foundation on which Pilot was built. In your normal daily work as an insurance adjuster, you are bound to come across ethical dilemmas. How do you decide when to report a claim as suspicious? Do you deem an otherwise acceptable claim invalid because of a single misstatement or exaggeration? These are not easy questions, and sometimes even experts in the field do not agree. Ken Brownlee, who speaks to insurance adjusters on ethics, writes in one case study that he was consulted by an adjuster who had a statement from the claimant in which she said she had never previously sustained an injury. The adjuster found a record of a previous injury-related claim, though. Brownlee writes that he ultimately thought this should be overlooked, because the evidence would not sustain a fraud charge in court. He reasoned that having a mother of three arrested but not convicted would not be good news for her, her children, the adjuster or the insurer. Another expert in the field felt charges should have been pressed, though. As noted above, ethical questions can be viewed differently by different people. Adjusters should look for guidance in the policy and company directions. Adjusters should also look to their supervisors for guidance in making these decisions. As an adjuster, relying on your training, company guidance and supervisors is the best way to approach ethical questions. And by always remembering to act “in good faith.” People have argued about ethics for millennia, and they will continue to do so. All you can be expected to do is make a good-faith attempt at understanding the ethical issues you will face as an insurance adjuster. Keep up with your ethics CE requirements in applicable states, do the best you can with each dilemma and ask others for help when needed. No one can ask for more than that. If you're interested in joining Pilot Catastrophe Services, Inc. as an insurance claims adjuster, please contact us today.